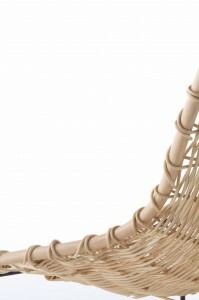 Rattan, like wood, has allowed the creation of handcrafted and unique works that will remain alive for a long time. 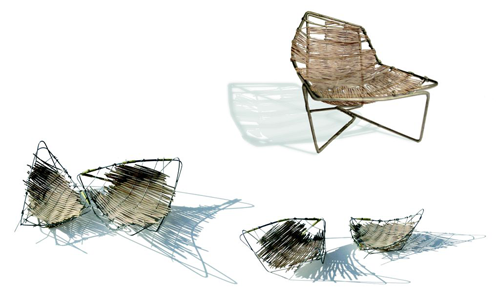 Expormim has traditionally worked this material with its experienced craftsmen, and this time has provided its expertise and know-how to the architect Benedetta Tagliabue to create a contemporary concept of rattan seats. Tina armchair is the first of them and it will be showcased at the Milan Furniture Fair 2013. With an important technical complexity, the Tina armchair and bench has been a challenge both in its development and manufacturing. The Italian and Barcelona-based architect has designed the seats with a clear intention: to use the rattan tradition in order to create a sleek and sinuous design, working with the best craftsmen. “The Tina armchair is the result of our collaboration with the industry. With a design featuring both innovation and tradition, it is built with the painstaking care and attention to detail characteristic of artisanal methods coupled with the precision and quality that comes with technology. 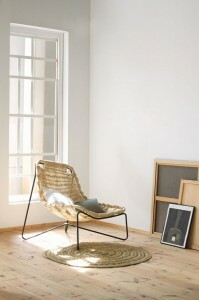 The Tina armchair is surprisingly lightweight and sinuous due to the features and comfort of its natural braiding”. Tagliabue loves natural fibers and she has developed several architectural projects using similar materials as the ones that inspire the Expormim collection, such as the Spanish Pavilion at the Shanghai World Expo 2010. For Benedetta Tagliabue, principal of the Miralles Tagliabue EMBT studio, which she founded with Enric Miralles in 1991, the Tina collection reflects one of her most recognized values: a tribute to the beauty of simplicity and craftsmanship. This is the first design available for an indoor environment signed by the EMBT studio, which previously had created furniture for public spaces. Tina is able to transform any room into a pleasant ambience, brings the elegance of the nature and represents the Mediterranean lifestyle. Technological advances have improved manufacturing techniques and have optimized processes, but the main actor of this combination of materials is still the human being. The skilled craftsmen select rattan sticks with special care, explore all their properties in order to create, bend them with heat, and put them into molds manually. Mr. Miguel Laso Tortosa founded “La Exportadora del Mimbre”, company originally engaged in the manufacture of handmade products such as wicker and cane furniture in Valencia (Spain). 50 years later, Expormim pays homage to all those first pieces of furniture that were a success because of its comfort, strength and durability, by producing new pieces designed by leading architects such as Benedetta Tagliabue and Oscar Tusquets.